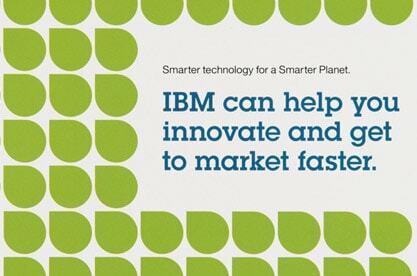 IBM and its agency, Ogilvy, wanted to reach companies that would benefit from its far ranging services. This required a compelling marketing vehicle that would reflect the company's core tenets: innovation and differentiation. 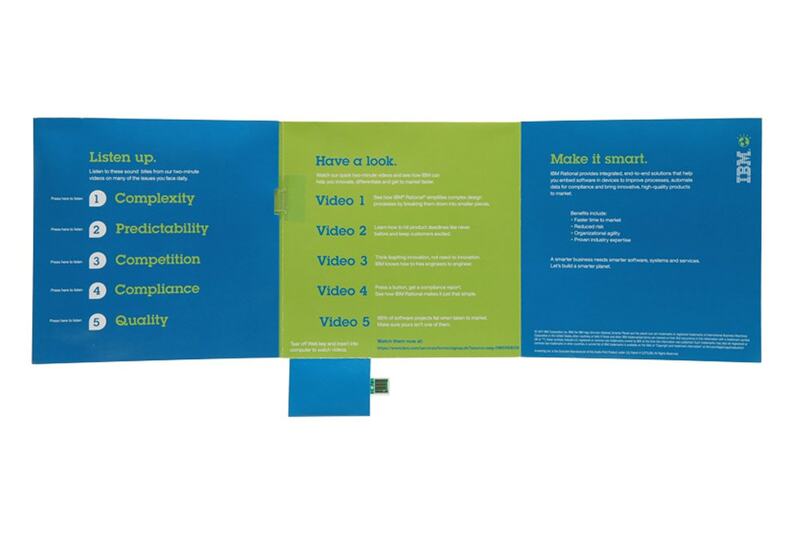 Americhip, IBM and Ogilvy collaborated to produce a tri-fold direct mailer. This unique design included a perforated webkey. Once inserted into a computer, the webkey automatically directed recipients to a website featuring five videos, each showcasing a different aspect of their service offerings. If that wasn't enough, the mailer also included five embedded sound bites that could be heard with the push of a button. The audio clips were taken directly from the videos that were accessible via the webkey, helping IBM deliver a consistent message. With both audio and a webkey, the IBM mailer differentiated itself from the rest of the pack. 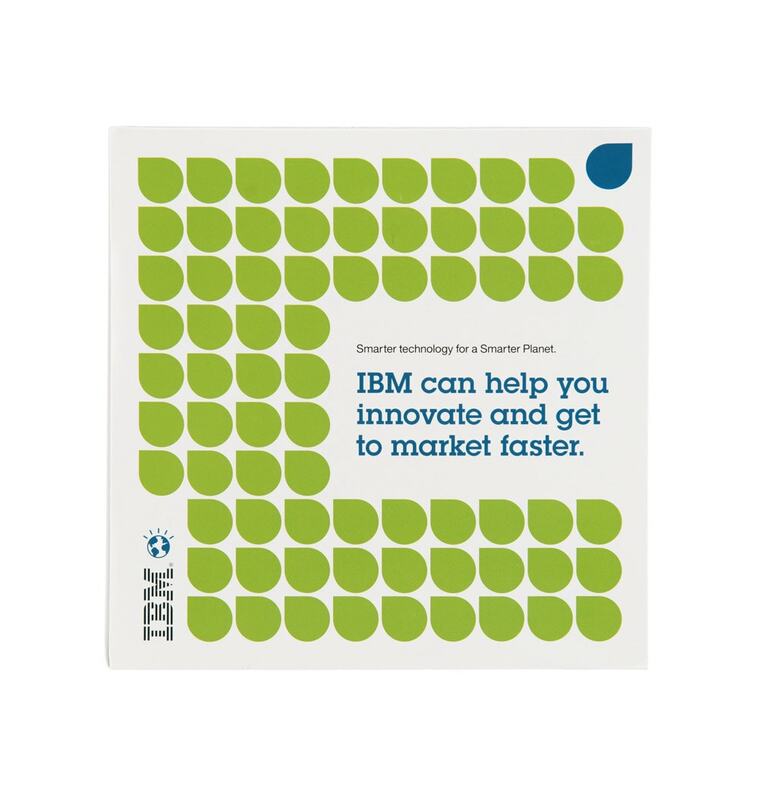 Not only was it quick to catch consumers' attention, but it also reinforced the fact that IBM is one of today's most innovative high tech companies.